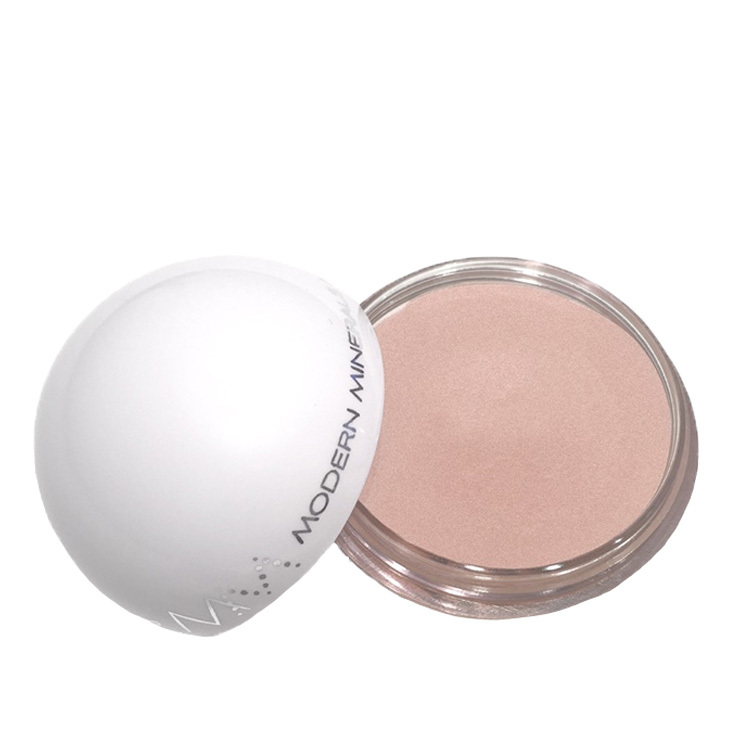 The long-anticipated sphere of Modern Moonstone Cream Highlighter by Modern Minerals Makeup is being exclusively launched to Beauty Heroes members. Formulated with organic coconut and jojoba, it glides smoothly onto the skin, leaving a touch of gold and shimmer to accent your best features. Proving that beauty radiates from the inside out, this Modern Minerals color collection is infused with Lotus Wei gem and flower essences, silky coconut and a touch of rose to uplift and awaken a sense of positivity while minimizing feelings of negative emotions. This ultra-silky all over highlighter was made to be applied with your fingers for ease and precision. Dip either one or two fingers into the sphere to cover. Sweep fingers along the top of the cheekbone from the bridge to the nose to the bottom edge of the eye. Repeat on the other side and anywhere your features catch the light, like the top of the brow bone, nose, cupid’s bow and chin. Add layers as desired to further accent your natural beauty. Caprylic/Capric Triglyceride (coconut derv. ), Mica, Natural Mineral Kaolinite, Simmondsia Chinensis (Jojoba) Esters, Natural Pentadecane, Copernicia Cerifera (Carnauba) Wax, Organic Cocos Nucifera (Coconut) Oil, Organic Simmondsia Chinensis (Jojoba) Oil, Lonicera Japonica (Honeysuckle) Extract and Tocopherol (Vitamin E).